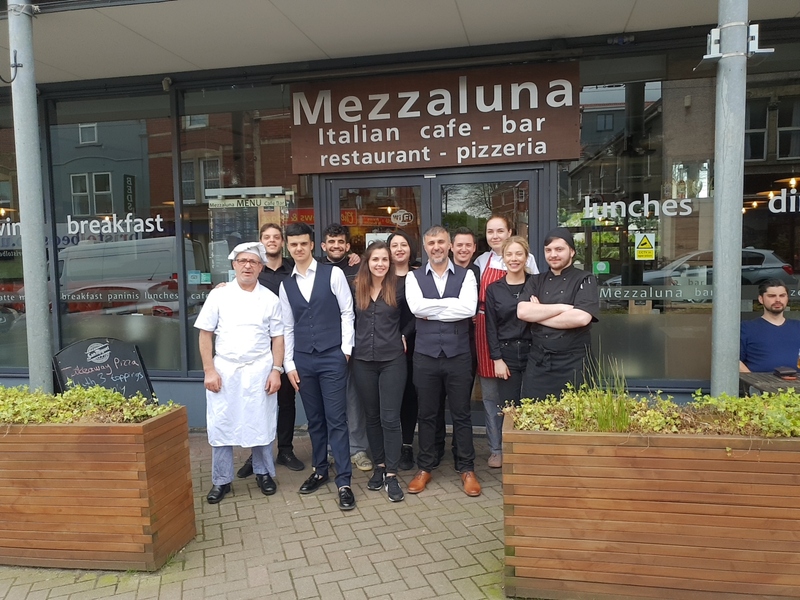 Mezzaluna is an Italian Restaurant, bar and cafe located on West Street in Bedminster, Bristol. Our goal is to promote authentic Italian cuisine through our experienced chefs with the best dishes, to offer that special journey into the tastes of other cultures. Come experience our newly refurbished restaurant with your friends and family. We have teamed up with local charities, councils, clubs and groups to organise events and activities ranging from computer classes, singles dating nights, open mic nights and comedians on the run. You can also find us keeping carol singers and the Salvation Army warm and toasty during Christmas time with hot, home-made mulled wine. 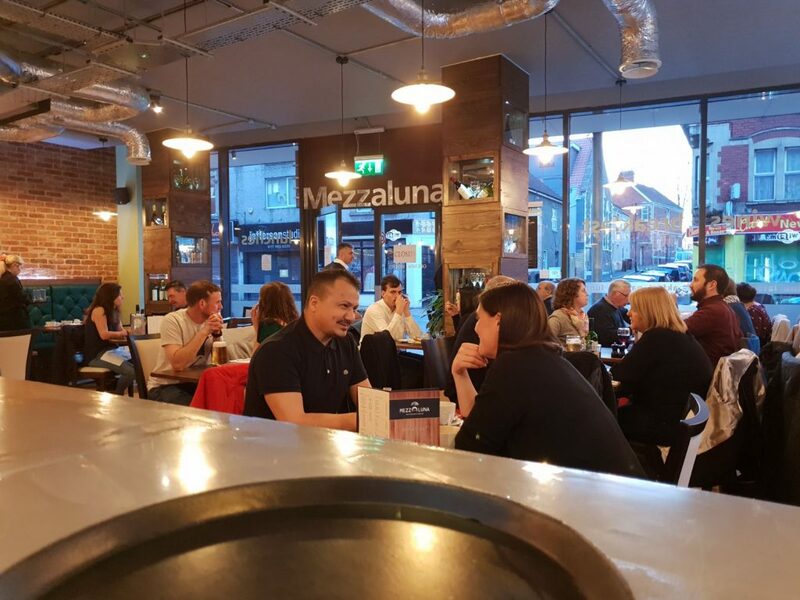 Welcome to Mezzaluna. We offer a great variety of Italian dishes as well as other amazing tastes from all over the world with our own twists. Our delicious breakfast, lunch and dinner menus are available every day, ready to transport you away from the dull rainy days of England, to the luxurious delicacies of Italy. "Really friendly staff who are happy to help with your requests. Sea Bass special was just perfect. I hate hummus, until tonight. They said they would be closed for January, will wait till February to return. Thanks guys my belated birthday meal was lovely." "The best pasta dishes had anywhere. The staff are really nice and give amazing service. Never had a bad meal. Great value too"
"Had a lovely evening here this evening for our works Christmas dinner Food was amazing, staff were very friendly 100% recommend"
Honestly the best restaurant in this area. Love the staff they are so considerate and welcoming. The food comes in generous portions and there is a wide variety to choose from. Favourite local restaurant - and finally re-opened. 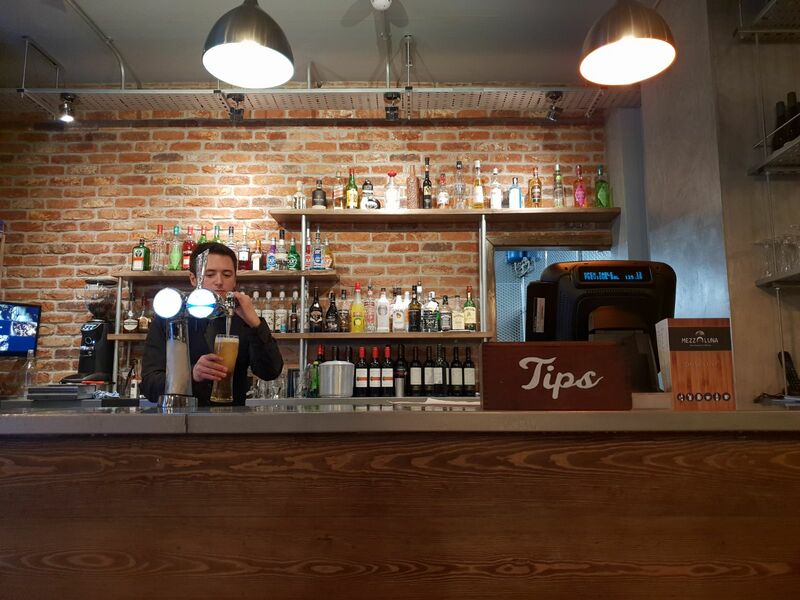 Good range of drinks, a great menu and really friendly welcoming staff. Waiting staff are super friendly and don't rush you. Perfect for a family meal or a night out without the kids (we have done both and it works all ways). Superb food in a lovely relaxing atmosphere. Follow our facebook page to stay tuned with us. You can see latest news, events and information. Keep in Touch! Like & share our posts to win a bottle of wine with your meal at Mezzaluna! Why not start your day with our delicious pancakes? Reservations must be made 2 hours prior to arrival. A confirmation e-mail will be sent upon successful booking. Thank you for reaching us.We will contact you soon.